In recent years, with the popularization of minimally invasive intervention and advances in laparoscopic techniques, the standard surgical procedure for UUTUC has gradually shifted from traditional open surgery to laparoscopic surgery [2, 3]. 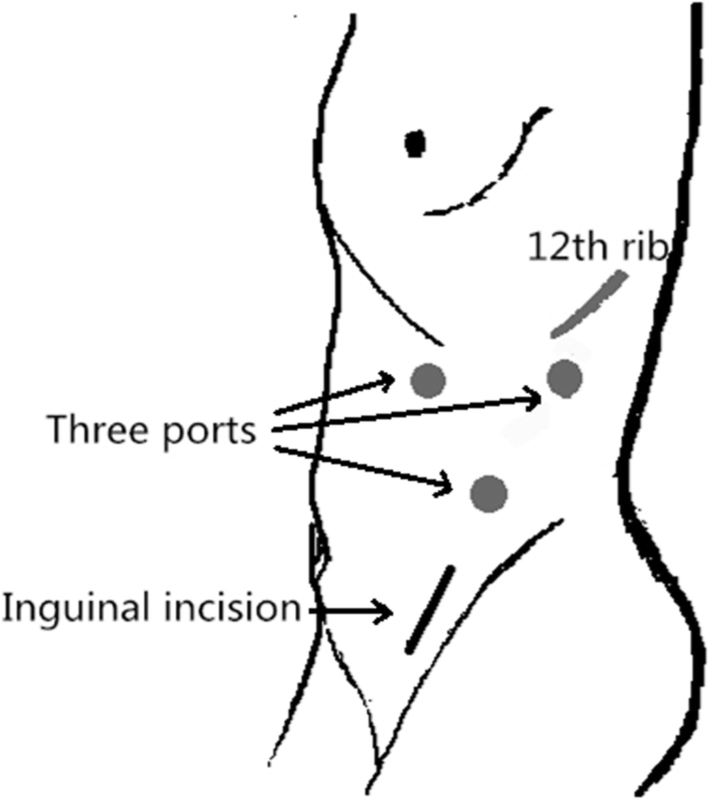 Minimally invasive surgery can achieve the same therapeutic effect as open surgery and can reduce intraoperative blood loss, reduce postoperative pain, increase incision cosmetic satisfaction, accelerate patient recovery, shorten postoperative hospital stay, and reduce the occurrence rate of perioperative complications [9, 10, 11]. 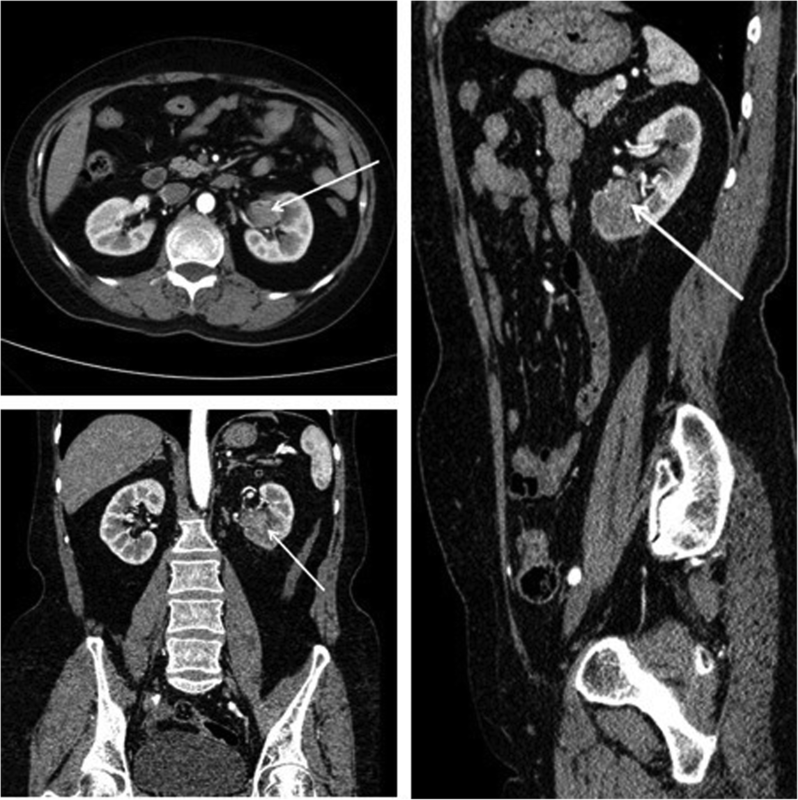 At present, for UUTUC, the more mature surgical procedure is retroperitoneal laparoscopic nephroureterectomy plus transurethral electric resection of the ipsilateral bladder cuff. 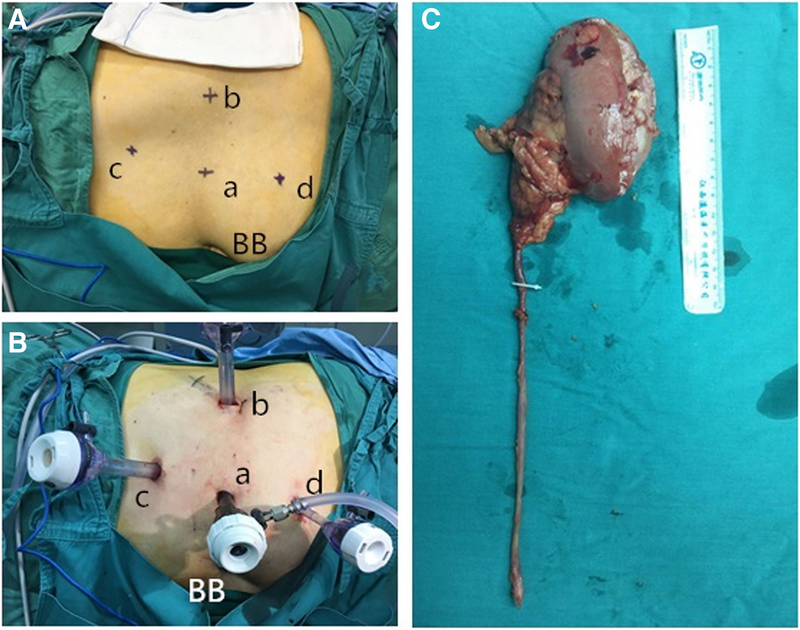 It has been reported that transurethral electric coagulation plus retroperitoneal laparoscopic nephroureterectomy for UUTUC could reduce the shedding and implantation of tumor cells . 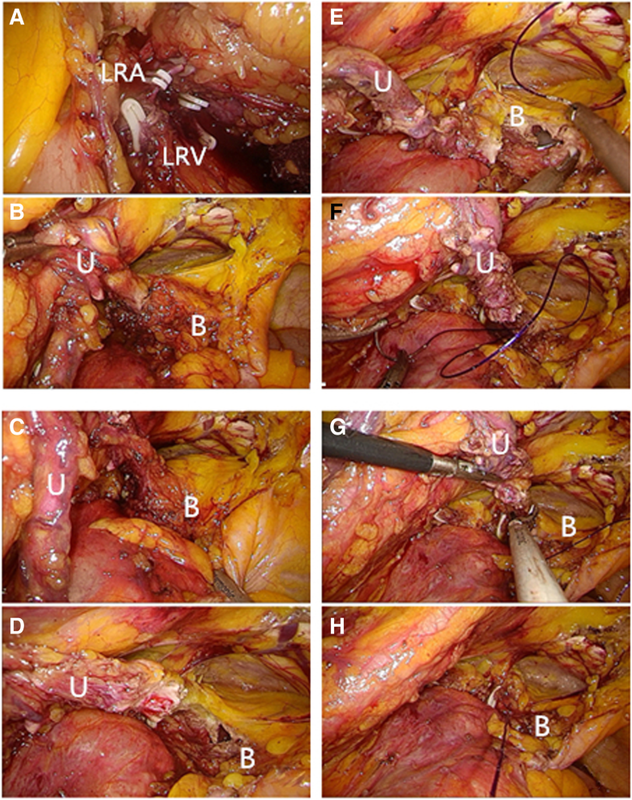 And more trials proved the benefit of retroperitoneal laparoscopic surgery in the treatment of UUTUC [13, 14, 15]. 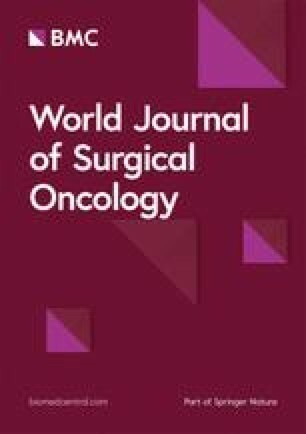 For advanced patients, some trials indicated that open surgery was better than minimally invasive surgery [16, 17, 18, 19], and the oncologic outcomes of UUTUC between the two procedures were similar . 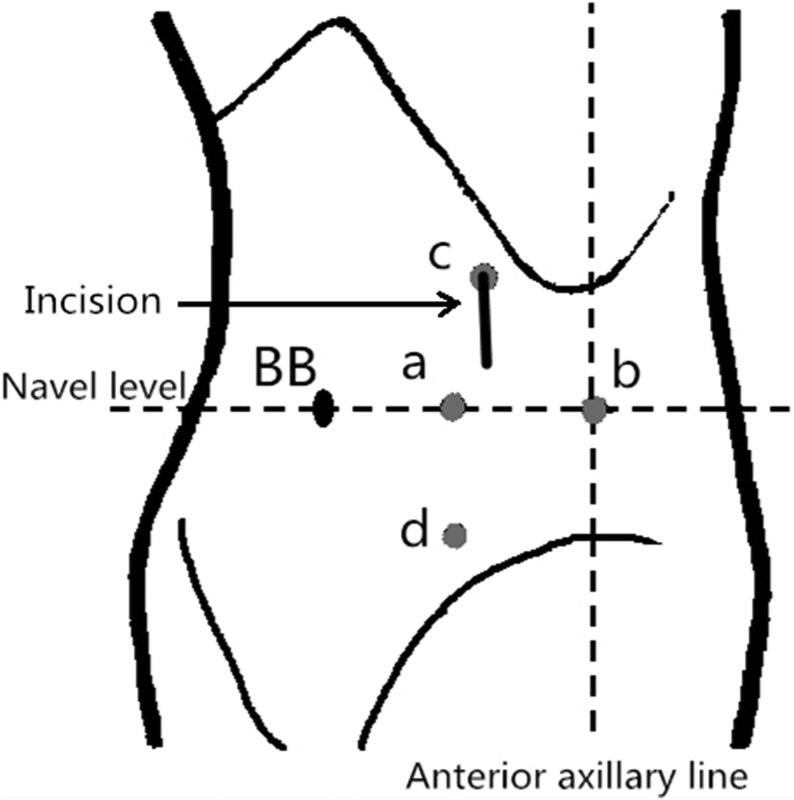 However, minimally invasive surgeries increased the anesthesia time and operation time due to the change of position and secondary disinfection during the operation, and thus increased the incidence of perioperative complications.